The use is consistent with State law and conforms to District policy and regulations. The group or organization is responsible and will exercise care in the use of the facilities. The activity is constantly supervised by an adequate number of adult sponsors. No alcoholic beverages, controlled substances, substance paraphernalia, or look-alike substances are available or used on District property. Smoking and use of tobacco products are also prohibited on District property. Animals are not brought onto District property without prior District approval. The activity is confined to the areas designated, and no school equipment or supplies are used except as approved in advance by the District. 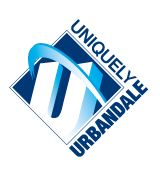 A written Application and Agreement to use Urbandale Community School District Facilities and Equipment is executed and approval is received in advance through the Superintendent or its designee. Fees are paid in advance, if requested. A liability insurance certificate is provided in advance, if requested. The organization shall be responsible for paying for any damage or destruction to the school facilities. The organization shall indemnify and hold the District, its officers, employees, and agents harmless from any claims, damages or charges arising from the use of the facilities or the activities of the organization. Application and Arrangements. A written application and agreement must be executed by the group or organization and approved by the Superintendent or its designee. If the Superintendent or its designee denies the request, the group or organization may appeal by using the Complaint Procedure specified in Policy 229, starting at the Superintendent’s level. The Board reserves the right to disallow a use approved by the Superintendent and may withdraw approval. Fees. The fee schedule for use of District facilities shall be established by the Board.